Just in case you did not know, the TARDIS is a fictional time machine & spacecraft that appears in the popular BBC television program Doctor Who. It’s time for another RootsTech 2019 4-day pass giveaway! The RootsTech conference is scheduled to be held Wednesday, February 27 to Saturday, March 2, 2019 at the Salt Palace Convention Center. This is exciting news! But, did you know that in the midst of preparing ambassadors for Salt Lake, the RootsTech team announced that it is also traveling to London in the autumn of 2019? More exciting news! This link will allow you to sign up for exclusive deals and timely details. Dr. Who is a transformative character that has been played by many. As a young boy the role became David Tennant’s aspiration. As an adult he actually won it! He said that the role was demanding and that it might not even be possible to accept today as a father to 4 young children. At FanX, in response to an audience member’s question about dealing with the demands of the business, Tennant said that he finds renewal in going home to his young family, because “ultimately that’s what it’s all about.” It sounds like the David Tennant family is making their own history, just like you, me and our families. So this year to honor the RootsTech theme “Connect. Belong.” send me an email that describes the place and time period you would most like to explore if you were given the chance to travel via the TARDIS. It’s that simple. Keynote addresses from individuals whose life experiences and successes are varied. RootsTech has brought in speakers from the tech industry, the science community, the writer’s circle, the political realm, the entertainment industry, the sports arena, the bloggers’ sphere and, of course, the field of family history and genealogy. I have never been disappointed. RootsTech offers a customized learning opportunity with over 300 sessions from which choose. I’ve heard in the past individuals lamenting because there were too many choices and the participants were placed with the difficult task of choosing one favored session over another. The good news is that if a session fills quickly, there is always another quality session to attend. The Expo Hall provides the greatest gathering of organizations, societies, and vendors to explore the latest in the field of family history and genealogy. There’s the Demo Theater with presentations about some of the products on the floor and the Discovery Zone where interactive displays provide opportunities to come to know your heritage in fun and unique ways. Innovation Alley was introduced 3 years ago, highlighting new tech tools and products. The Heirloom Show and Tell is back, where you can bring a small item or a photo of a larger item and have an expert tell you more about its historical significance. In addition to my initial 3 reasons, one cannot forget that the RootsTech venue, the Salt Palace Convention Center, is within walking distance of the Family History Library. Prepare now to access some of the greatest collections on earth that will help you find your ancestors! There are about 600 reference consultants and volunteers from all over the world on hand to provide helpful assistance at no cost to you. This 4-day pass allows entrance to the daily keynote addresses, your choice of over 300 RootsTech sessions, entry into the Expo Hall, and all of the evening events. If you’d like to learn more about record access and preservation, it is important, at no additional cost, to pre-register for the Access and Preservation 2019 session to be held on Wednesday, February 27 from 8:00am-12:30pm. This event will be taught by working archivists and librarians. This 4-day pass does NOT include sponsored lunches, computer labs, transportation to or from the conference, lodging accommodations, meals, or any other expenses that you may incur. Again, how do you enter this giveaway? It’s simple. The RootsTech theme is “Connect. Belong.” and our family history pursuits provide opportunities to connect and belong to places and points in time throughout history. So send me an email that describes the place and time period you would most like to explore if you were given the chance to travel through time and space via the TARDIS. It’s that simple. Submit entries via my Let’s Talk Family History page or share on Twitter by tagging me @thesingleleaf. Participants may submit more than one entry if the entries are submitted separately. Each entry is one chance to win. This contest is void where prohibited. I ask your permission to include quotes from your entry in future posts. If your submission is used, proper attribution will be given. If you’d rather not be quoted in a future post or you would rather remain anonymous, please indicate in your submission. The more you enter, the greater your chance to win! What is a genealogy touchdown? In my opinion, there is no better way to connect with others about family history than to share a brief replay of a genealogy touchdown—that glorious moment when research came together, you entered your genealogy end zone, and you felt like spiking the ball in celebration (a.k.a., doing the genealogy happy dance as it has been described for generations). This option is open to all interested in family history and genealogy, including those who do not like football, but it is void where prohibited. Football terminology is not required and entries may be of any length. Submit entries via my Let’s Talk Family History page or share on Twitter by tagging me @thesingleleaf. Each entry is one chance to win. Participants may submit more than one entry if the entries are submitted separately. I ask your permission to include quotes from your entry in future posts. If your submission is used, proper attribution will be given. If you’d rather not be quoted in a future post or you would rather remain anonymous, please indicate this with your submission. The more you enter, the greater your chance to win! As mentioned, this contest is void where prohibited. Please remember that I will not use your email address for any purpose other than entering you into this contest and to notify you if you are the winner. The contest runs from Saturday, November 10, 2018 to Monday, November 19, 2018 at midnight MT. The winner will be notified Tuesday, November 20, 2018 by email. If you have already registered with RootsTech and your entry is drawn, RootsTech will reimbursed you for the full amount that you’ve prepaid. Enter today! Good Luck! Hope to see you at RootsTech’19! © 2018 Lynn Broderick, a.k.a., the Single Leaf. All Rights Reserved. Enter your email address to follow The Single Leaf and receive notifications of new posts by email. Providing your email address will automate delivery of future posts. I never initiate contact, sell, or provide your email address to any person or entity unless required to by law. © Lynn Broderick, a.k.a. the Single Leaf, 2013-2019. Unauthorized use and/or duplication of this material without express and written permission from Lynn Broderick, a.k.a. the Single Leaf, is strictly prohibited. Excerpts and links may be used, provided that full and clear credit is given to Lynn Broderick, a.k.a. 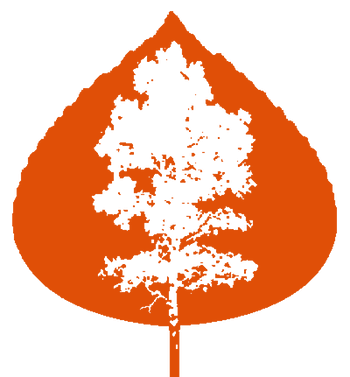 the Single Leaf, with appropriate and specific direction to the original content. It’s the Premiere of RootsTech 2019! 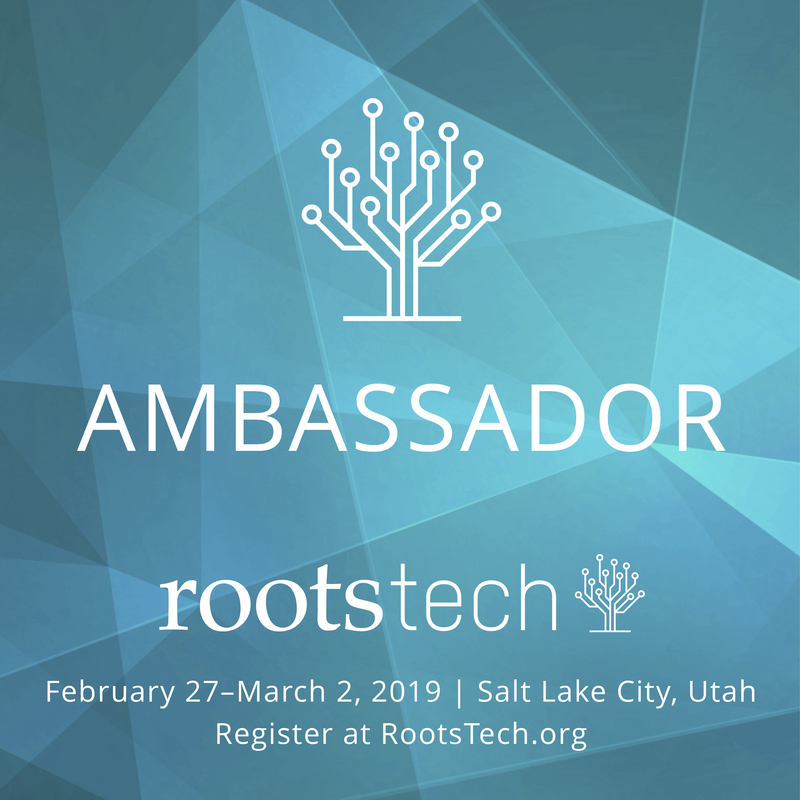 RootsTech 2019 Is Almost Here! Are You Ready?